Dr Karl “Charly” Gabl (*1946) is known as the most reliable and sympathetic meteorologist among the World’s top mountaineers. 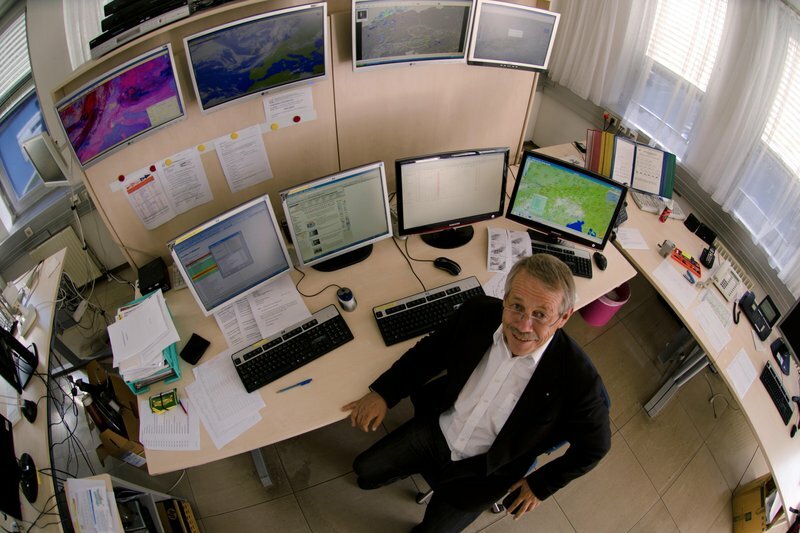 From his office in Innsbruck, the Tyrolean weather guru has advised and commiserated with hundreds of expeditions by alpinists like Reinhold Messner, Hansjörg Auer, Tamara Lunger or Simone Moro. In this interview at the Mountain Film Festival at Das Kino in Salzburg, I asked Dr Gabl about creating his forecasts for the highest level, his admiration for his clients, the dangers of the jet stream, his own alpinist aspirations, and a truly presidential weather forecast. Charly, you started your meteorological career in the world’s oldest weather service, at the Central Institute for Meteorology and Geodynamics in Innsbruck. What was the most drastic change in the way you create your forecasts? The advent of the computer, without a doubt. Before that, the calculation of effects resulting from the collision of cyclones and anticyclones already existed, but it took three months to predict the weather for the next day. When I started in 1977, it just wasn’t in the cards to make an accurate prognosis for places like the Himalayas or Patagonia. Along with the computer came an incredible mass of data that can be processed in only ten minutes. It also helped us to draw global developments into the equation – high- and low-pressure regions span areas of thousands of kilometres. It’s not sufficient to calculate the weather conditions for only a small area. How much more precise have 5-day-forecasts for expeditions become since the 1970s? Nowadays we have a reliability of easily 80% for a 5-day-prognosis. Especially reliable when it comes to predicting the movements of the so-called jet stream, a bundle of fast flowing, narrow air tubes. (Their paths typically have a meandering shape, flowing west to east; jet streams may start, stop, split into two or more parts, combine into one stream, or flow in various directions including the opposite direction of most of the jet. The strongest jet streams are the polar jets, at around 7–12 km (23,000–39,000 ft.) above sea level; ed.). The prediction of the jet stream movement is around 95% these days, while it used to be around 60 or 70% before the computer age. 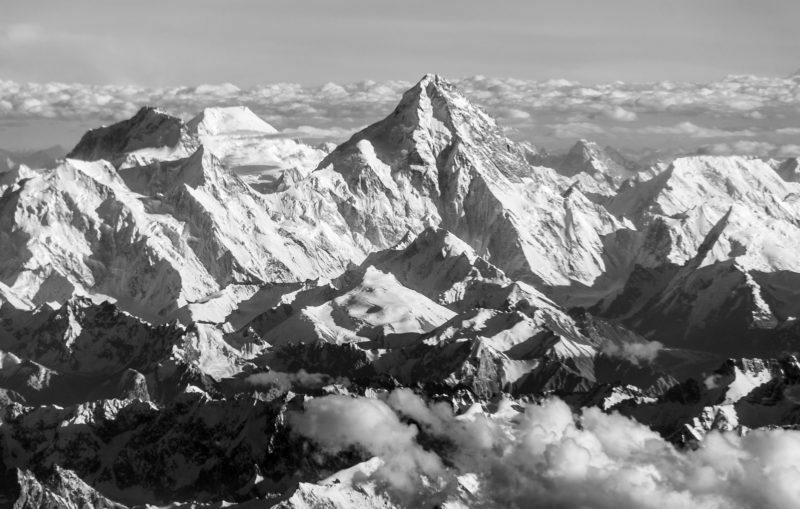 In the 1950s only 12% of mountaineers going for an eight-thousander were successful, today it’s over 35%! That means the rate has tripled in the last 60 years, but of course, it’s also because Alpine equipment has become much better. Has the quality of weather models increased as well? Massively, yes. There are a few out there, the American GFS, a European one, and even a Chinese model. At times they seem to contradict each other. So when someone is asking me for a prognosis, I jokingly offer him or her to either trust the American system or the European, the former predicting sunshine, the latter predicting a thunderstorm. I always say: “Chose which one is more to your personal taste (laughs).” In the end, I build my own model, combining various systems. Additionally, we draw vectored satellite images into the calculation, because one can analyse the speed of which certain cloud layers are moving. These data stem from more than 1200 balloons, so-called radiosondes, flying for distances of 30 kilometres twice a day, delivering a profile of cloud developments. How would you describe your position in the world of global alpine expeditions? To illustrate this: Two days ago Edi Koblmüller (1946 – 2015; Austrian mountaineer; first ascendant of K6 in 1970, of Chogolisa in 1975 and of Cho Oyu’s Southeast Face in 1978; ed.) rang me up from Mount Meru in East Africa and asked for a prognosis because he and some pupils of his mountaineering school wanted to make for the peak “tomorrow or the day after”. So I calculated a weather window and had to tell him: “It’s either tomorrow or not at all!” You know, I am not a magician, it’s just that over the years I have garnered a reputation among world-class mountaineers. That’s the best marketing I could have without investing a Euro or a cent ever. Potentially, everybody can do what I do, but I get mentioned in lectures and films by people like Gerlinde (Kaltenbrunner; first woman to climb all 14 eight-thousanders without supplementary oxygen; ed.) or the Huber brothers. I guess my clients appreciate talking to me on the phone, as I also tend to bring a personal note to my analysis. That’s a bit like a psychological crutch, which they need in these exposed and dangerous places. David Lama speaks about you with great enthusiasm. David is an incredible high achiever, unbelievable! I advised David many times, not only at Cerro Torre and in the Karakoram. And so has Austria’s President Dr Heinz Fischer! He wanted to visit me, being a passionate mountaineer himself, and see how I work in my office in Innsbruck. It wasn’t me who asked him to come; it was him who asked because he is a close friend of Gerlinde’s. So one day the presidential limousines arrived and I ran downstairs and told him: “Mr President, we have to hurry, in ten minutes David Lama will be calling from Patagonia and you have to give him the weather forecast!” He enthusiastically agreed. We went through precipitation columns and wind graphics, he took some notes and at 5:15 pm on the dot David called and president Fischer personally gave him the weather report (smiles). Are you emotionally involved in the expeditions you advise? I often get up in the middle of the night to check on a balloon’s position or if everything is working according to my calculations, yes. Even though I am officially retired now, I still continue to advise mountaineers who are mostly my friends. It was dramatic and nerve-wracking even for me in Innsbruck when Gerlinde climbed K2’s North Pillar in August 2011. It took her 13 hours for only 300 meters in the last section! Throughout the 1970s you were one of the pioneers of high altitude skiing, for example on the face of Noshaq (7, 492 m) in Afghanistan, right? In 1970 we drove from Innsbruck to Afghanistan in two VW buses, partly on the hippie trail. It took us almost two months for a distance of nearly 17.000 km. Back then the Shah of Persia was still in power and I remember sitting next to him on a couch just like the two of us are sitting together now. At the time I was in a brass band and we had played a few traditional pieces for him when he came to Zürs am Arlberg for his skiing holiday in 1965. I remember we played completely wrong because it was freezing cold, but maybe it sounded correct in Persian ears, I don’t know (laughs). Are you still an active mountain person today? Today I still like climbing, skiing, and hiking. I have done almost 40 5000ers and I’m flying to Nepal in two days for a low-key trekking holiday in the Solu Khumbu region. Which places on the globe are notoriously hard to predict the weather for? Patagonia for example. Being located in the Southern Hemisphere with much fewer land masses, storm fronts can move much quicker over vast distances because there is less friction for the clouds than if they were moving over dry land. Alexander Huber (Bavarian climber and alpinist; edit.) was held in his tent by atrocious conditions for almost two months. The only peak, which he self-ironically photographed himself on, was a boulder next to his tent. Generally, all the ultra mountains, from K2 downwards, are hard to forecast, because weather models are not precise in these heights. I have made a few misinterpretations myself, concerning predictions of snowfall or lacking high winds to blow the fresh snow apart. 30 centimetres of powder instead of predicted three centimetres in a place like K2’s North Face can slow down an expedition to a point where the time schedule just doesn’t work out anymore, not to talk about the most obvious danger in these steep flanks: avalanches. And concerning peaks that are close to the ocean? When extreme-skier Axel Naglich and his team climbed and skied down Mount St. Elias (5.489m) in the summer of 2007 on the coast of Alaska, I was almost at the end of my wits. I have never told him this, but I really suffered. At the nearest weather station, they register 3700 ml of precipitation per year. That’s approximately 37 to 40 meters of fresh snow per year! So when he called me to get information on the conditions in the snowfield right underneath the peak, I can’t predict if there’s not going to be a slab, but in the end, it worked out fine. I don’t take money for my advice and to me, the most valuable reward is when my clients get back down safely – whether or not they have reached the peak! This conversation appeared in a different form at redbull.com.